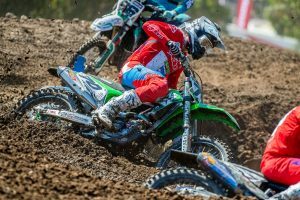 Post-race updates from the MX1 and MX2 classes at round six of the 2018 Pirelli MX Nationals, direct from Conondale in Queensland. 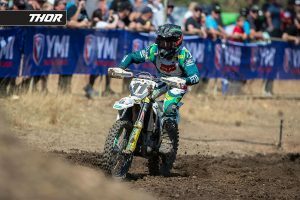 Serco Yamaha rider and MX2 points leader Wilson Todd stormed to the hole-shot in moto one, although Complete Parts Kawasaki Racing’s Aaron Tanti stole the lead just moments later. Tanti and Todd duelled in the following laps with Jay Wilson (GYTR Yamalube Yamaha) in tow, although the former champion would make a mistake on lap five, losing considerable ground on the leaders. A front-end washout on lap six from Tanti demoted him to second, allowing Todd ride away with an incredible 14.833s victory over Tanti. Wilson held on for third ahead of Dylan Wills (DPH Motorsport Husqvarna) and Kyle Webster (Penrite CRF Honda Racing), while top 10 was rounded out by Hamish Harwood (Davey Motorsport KTM), Richie Evans (Yamalube Yamaha Racing), Jy Roberts (Husqvarna), Egan Mastin (KTM Motocross Racing Team) and Ricky Latimer (Ride Red Honda). 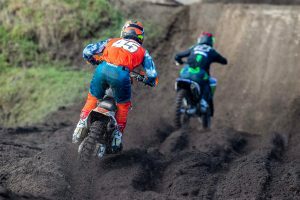 KTM Motocross Racing Team’s Luke Clout stormed to the lead as the premier class returned to action in race one, leading youthful talents Dylan Long (CDR Yamaha Monster Energy Team) and Mitch Evans (Raceline Pirelli KTM). Points-leader Dean Ferris (CDR Yamaha Monster Energy Team) quickly worked his from outside of the top five, moving into the lead by lap three. Kade Mosig (DPH Motorsport Husqvarna) shifted into second, capitalising on a mistake from Clout, while in the end it was Ferris, Mosig, Brett Metcalfe (Penrite Honda Racing), Evans and Clout who rounded out the first five. The top 10 was completed by Rhys Carter (Complete Parts Kawasaki Racing), Caleb Ward (Davey Motorsport Husqvarna), Long, Jesse Dobson (KSF Ecstar Suzuki) and Connor Tierney (Yamaha). A notable DNF was KTM Motocross Racing Team’s Kirk Gibbs, who pulled in during the dying laps. In race two, it was Webster and Tanti who fought for the hole-shot, Webster with the advantage in turn two, although a return serve from Tanti saw him controlling the field as they exited the corner. 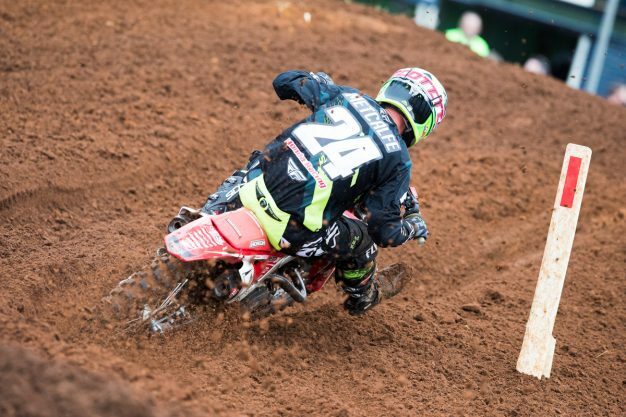 Todd made quick work of Webster before pouncing on Tanti, securing the lead on lap two before capturing a thrilling 9.540s victory, crediting him the overall. Tanti wound up second ahead of Webster, Harwood and Wills, as the top 10 was rounded out by Mastin, Evans, Makeham, Cody Dyce (Empire Motorsports Yamaha) and Jayden Rykers (Raceline Pirelli KTM). Jay Wilson held down a top 10 placing for much of the race before an error relegated him down the field. Overall it was Todd – who continues to control the championship – Tanti and Webster. Evans rocketed to the hole-shot in race two, however it was Mosig who led the field as they fired up the first hill. Clout quickly responded in the opening turns, moving his way by Mosig before later handing back the position. Ferris navigated his way back from a poor start and ultimately stole the lead from Mosig on lap eight, meanwhile a mistake from Clout saw Metcalfe briefly go down. It didn’t deter Metty, who rebounded and charged his way into second, finishing just 1.058s shy of eventual winer Ferris. A late moto battle between Clout and Ward saw the duo get by Mosig, as the top 10 was concluded by Evans, Carter, Tierney, Robbie Marshall (Honda) and Keiron Hall (Yamaha). Gibbs was absent following his race one DNF. Overall it was championship leader Ferris followed by Metcalfe and Mosig.